Middlesbrough: Randolph, Shotton, Ayala, Flint, Fry, Friend, Mikel, Howson, Wing (Besic 64), Saville (Clayton 78), Hugill (Assombalonga 77). Subs not used: Dimi, Downing, Van La Parra, Fletcher. Leeds: Casilla, Ayling (Shackleton 80), Jansson, Cooper, Alioski, Phillips, Klich (Roberts 58), Roofe, Harrison, Clarke (Hernandez 45), Bamford. Subs not used: Peacock-Farrell, Brown, Davis, Halme. A Kalvin Phillips header, 11 minutes into 12 minutes of injury time, secured Leeds United a dramatic point against Middlesbrough at the Riverside Stadium. Leeds had the first opportunity of the match, Patrick Bamford broke into the Middlesbrough penalty area well, but he was surrounded and could only win the Whites a corner. 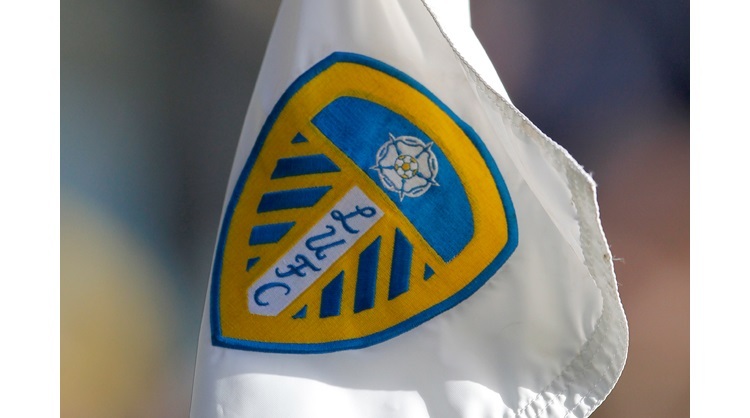 Marcelo Bielsa’s side again went close in the seventh minute, Kemar Roofe broke up the pitch well, playing a nice one-two with Jack Clarke, before teeing up Mateusz Klich to strike from the edge of the box. He hit a first time effort just wide, but had more time than he thought to get his strike away. At the other end, Kiko Casilla was called into action, making a good save to deny a George Saville strike from the edge of the box. Ezgjan Alioski fired wide from distance, before Luke Ayling played a nice one-two with Roofe, only to fire over the crossbar with his attempt. In the 20th minute, Casilla made a superb save to keep the scores level. Saville’s strike from 20 yards was destined for the bottom right corner, but for the Leeds stopper. From the resulting corner, Boro had a great chance to take the lead, but Aden Flint could only head over from point blank range. Flint had another fine opportunity moments later when Ryan Shotton’s cross was met by the defender, but this time he headed wide. George Friend then found Shotton in the box with a low cross, but he scuffed his effort wide of goal. Lewis Wing fired wide for the hosts, before Jack Harrison played Bamford into the Middlesbrough box, but he couldn’t find the target with his first time strike. Middlesbrough took the lead two minutes into the second half. Friend picked out Wing on the edge of the Leeds box and he had time to pick his spot and convert. Pontus Jansson saw a header easily saved at a corner as he couldn’t generate enough power behind it, whilst substitute Tyler Roberts went close at a set-piece when the ball hit his thigh, but he couldn’t get a strike in on goal. Phillips then put a good cross into the box from the right and Roofe was just inches away from getting on the end of it at full stretch, with Randolph going on to gather. Leeds then had a two minute onslaught on the Middlesbrough goal, first Pablo Hernandez played Bamford in at goal, but he saw his strike deflect just inches wide off Daniel Ayala. From the resulting corner, the ball fell to Alioski on the edge of the box, he saw his effort blocked, before Jansson weaved his way back into the box and Roofe was denied by a superb double save by Randolph. Harrison then put a cross into the box and Jansson saw a header hit the post after another fine Randolph stop and Bamford could only put the rebound wide, as the home side survived once more. At the other end, Mo Besic put a dangerous cross into the Leeds box and George Friend at full stretch couldn’t find the target, before Britt Assombalonga fired a volley just wide with his first touch. There was a long stoppage in play in the 82nd minute, Clarke who was substituted at half time, was taken unwell on the bench and received medical attention. A total of 12 minutes additional time was signalled and Leeds piled on the pressure, Harrison went close driving into the area before seeing a strike deflect wide. Then, with just a minute remaining, Leeds won a corner, Hernandez delivered, Liam Cooper headed towards goal and Phillips couldn’t miss from close range, netting his first goal of the campaign, to send the 4,500 Leeds fans delirious.